Tagging provides visibility over your cloud spend and usage and represents the all-important first step in taking full control over your enterprise’s cloud. Similar to our homes, our clouds can quickly become cluttered and complex as we add more items over the years, making everyday management increasingly unwieldy and expensive. Like the cupboard under the stairs full of defunct devices and outdated documents, the cloud can become a graveyard for once-useful resources that are no longer adding value. But to extend the metaphor, you can’t make better use of your space if you don’t know what you have, and which items should be thrown away. In the same way, you can’t optimise your cloud if you don’t understand its components and which parts of the business they serve. Every cloud needs constant attention to maximise usability and performance. This is why it’s so important that items are clearly labelled so we know what resources are kept where, and why they’re there. In other words, you have to understand your cloud landscape before you can optimise it. That’s where tagging comes in. You can think of tags as labels, or metadata, that you assign to the resources in your cloud environment to help you identify them from different perspectives, such as who owns an asset or when it was created. This enables you to sort, report and analyse these assets in whatever way you wish. However, some thought is required up-front to ensure your tagging strategy meets your specific requirements. So, how can you get started on a tagging strategy that will ensure all your resources are fully labelled and identifiable? The first step is to conduct a thorough appraisal of your business needs to ensure that you fully understand what information about your IT estate the organisation requires to function efficiently. What insights would benefit the business, making it easier to align your cloud to use cases? This can’t be a top-down process: you need to involve every stakeholder across the business – from finance to operations, engineering to human resources – to ensure that your tagging strategy meets all your requirements. The last thing you want is a business department to lose sight of critical resources they need to get the job done, so it’s important that everyone is involved. Remember, you don’t have to tackle tagging all at once. Start with around three or five classifications for your cloud assets. These should support specific aims such as improving the visibility of your resources, clarifying ownership, or identifying the costs associated with that asset: for example, you could tag by business unit, product or service, owner and role. There’s plenty of time to expand these tag classifications later, but it’s important first to establish a naming convention to avoid confusion or double-tagging. We recommend that you split your tags into four discrete categories – Technical, Business, Automation & Security – and then prefix your tags to clearly identify which category they relate to: for example, ‘tech:Version’ or ‘bus:Customer’. Whatever categories you choose, make sure they are used consistently. If you have only a small number of resources, then you could manage tagging through a spreadsheet, although this will quickly become impossible to manage as your business and its cloud assets grow. This is where a good cloud service management platform can make all the difference, by not only helping you label and keep track of your assets, but also providing you with detailed analytics and reports – along with real-time recommendations on how to optimise your use of cloud resources. Tagging is just one way of helping your business improve its cloud infrastructure, however. To ensure you’re getting the most out of your cloud, and that it continues to be a value-add rather than a cost-centre across its lifetime, you should look to implement an ongoing cloud optimisation programme. Too many companies fall into the habit of treating cloud as a static installation. In actual fact, it should be an iterative, constantly-evolving asset, growing and changing as your business does. The process of optimisation tunes your environment to suit the specific capacity, cost and availability requirements of your individual workload. It should be a continuous cycle that starts with measurement and monitoring aided by tagging, before rightsizing to ensure that the provisioned capacity meets your needs (and doesn’t over-fulfil them). Where possible you should give some consideration to your application architecture, autoscaling to meet demand as it occurs is a much more efficient use of cloud technology – and finally pricing to ensure you’re paying the right price for the resources you need, upfront reservations should be a consideration at this stage. Finally, it should look at storage to ensure you match your needs to the cloud vendor’s capabilities – there are often more cost effective ways to store infrequently accessed data. To ensure your system is up to date, formal optimisation reviews should occur in roughly six-monthly cycles to ensure the workload is re-tuned in line with technical advancements and upgrades to your cloud architecture. Optimisation reviews should also evaluate updated regulatory and compliance requirements against enhanced cloud features and upgrades. 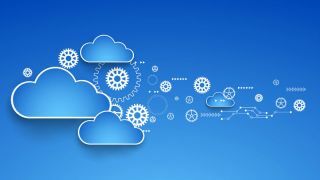 A cloud optimisation programme can also help you ensure that the performance of your workloads is optimised, including their scalability, accessibility and resilience, whilst reducing costs, and can help you to take advantage of the newest capabilities offered by cloud providers like AWS, Google and Azure. The bottom line is that an effective cloud optimisation programme should be a complimentary combination of different processes, from workload management to tag management. A thorough approach is the best way to eliminate inefficiencies in your infrastructure and ensure that your cloud’s growth is a benefit, not a hindrance. To take the ‘serviced apartment’ metaphor outside, it’s like gardening – yes, you look for the best ways to make sure your plants grow and thrive, but you also need to prune them back regularly to stop them from taking over your garden. There’s never a bad time to get your house (or your garden) in order, and the same goes for your cloud. The more you understand about your company’s cloud, the more value you can bring through optimisation. Realising the benefits of cloud computing isn’t a given; it’s the product of thoughtful management. Get tagging today to stop sprawl, save money, and ensure you’re getting the most business value out of your cloud.